Like & Follow! ► @officialmissin // www.facebook.com/iammsng ◄ ► @terrafirmasound // www.facebook.com/TerraFirmaSound ◄ Hailing from the city of Nis in Serbia, Djordje Jeremic is a producer who has a soft spot for deep dynamic minimal sounds. Producing Drum & Bass under the name 'Missin' he is turning the heads and ears of bedroom producers, everyday fans of the genre to even professional DJs and prominent figures within the Drum & Bass sphere. 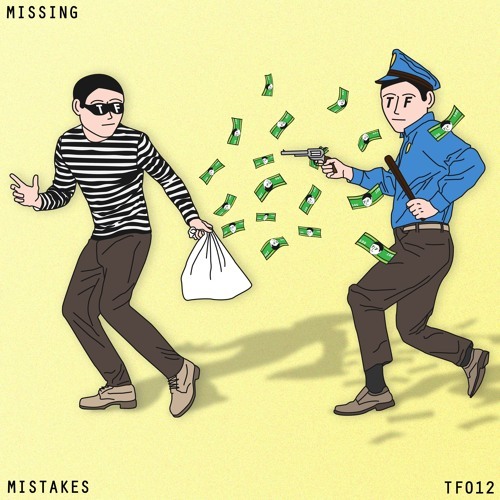 Mistakes EP, is the first solo release on Terra Firma for Missin, having previously collaborated with Nemy with the smooth 'Did To Me'. Here, his clinical production combined with throttled basslines and eerie padded textures results in a transcendent piece of work and a mystical listening experience. Title track 'Mistakes' sets the tone with floating vocals meandering throughout a dark bed of anticipation. Dynamic percussion and prodding basses are ever-present, as there are in 'No Good', an extension to what is becoming an enveloping mysterious journey. The gearstick gets changed in 'Shaku', we aren't sure whether it's gone up or down a gear, but here a strong rhythm imposes itself courtesy of textbook Missin halftime beats. Last up is 'Not Regular', an emphatic last chapter sending shivers down your spine.